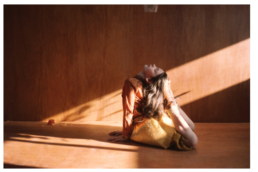 This series published in the brand new issue (#8) of Papier Mache highlights the folk trend, dear to photographer Melanie Rodriguez and stylist Deborah Sfez. The dark backgrounds are beautifully reinforcing the rich prints and colourful details of the clothes and accessories. The embroideries by Izzyana Suhai bring an additional magic touch. Top SENORITA LEMONIEZ – Skirt MILLER AT ELIAS AND GRACE – Shoes POM D’API – Necklaces APRIL SHOWERS by POLDER – Floral fabric PETIT PAN – Jacket SCOTCH’R’BELLE – Pants QUENOTTE – Bracelets PASCAL MONVOISIN – Floral fabric PETIT PAN. 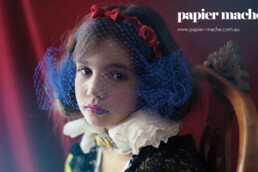 It's been on everybody's lips : Papier Mache goes from online to hard copy. You can now order your copy here. $10.95 AUD : approx $10.95 - £6.85 - €8.10.